I love all things pumpkin. Each fall, I challenge myself to come up with new and exciting ways to utilize pumpkin in delicious recipes. Canned pumpkin is extremely versatile and is always yummy when baked up into something sweet—and these empanadas are no exception. These are a hit time and time again and they make an excellent snack for the kiddos. The filling is warm and creamy, with a flavor similar to pumpkin cheesecake but without all of the work and time it takes to prepare. 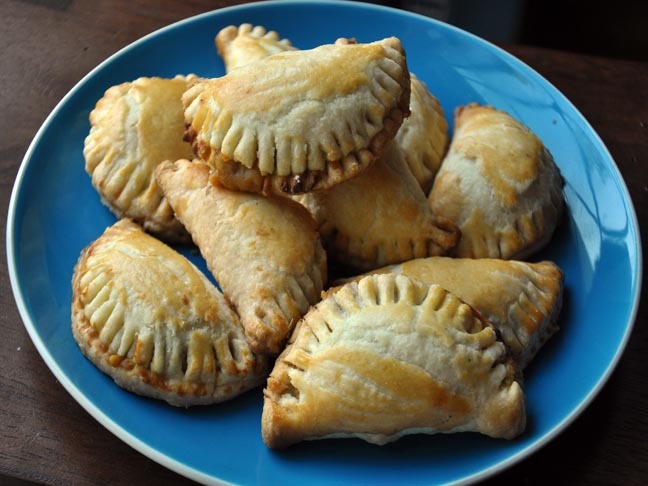 This pumpkin cream cheese empanadas recipe are easy to make and even easier to eat. Bake up a batch or maybe even two because they go FAST and are sure to be a welcome addition to your fall baking repertoire. Step 1: Preheat oven to 400 degrees. Line a baking sheet with parchment paper or a reusable silicone liner. Step 2: In the bowl of a standing mixer beat pumpkin, cream cheese, pumpkin pie spice and brown sugar on high speed until light and fluffy, about 3 - 4 minutes. Step 3: On a lightly floured surface roll out store-bought pie dough, and cut into about 12 - 14 circles. These rounds should measure abour 3 - 4-inches in diameter. To make the rounds, use a 3 - 4 inch cookie cutter, a can, or the rim of a mug. 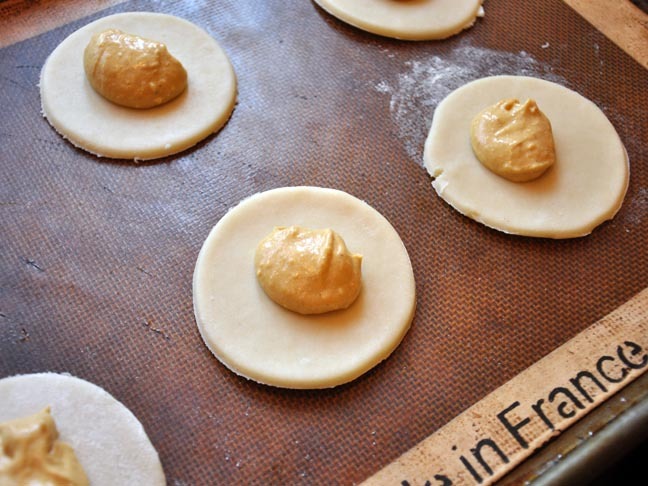 Carefully place the rounds of of dough onto the prepared baking sheet. Tip: If dough begins to stick to cutter or rim of mug, dip the edges of the cutter/mug in flour between cuts. Step 4: Spoon out about 1 teaspoon of pumpkin filling into the center of each dough circle. Step 5: Wet the edges of the dough and fold one side of the dough over to meet the other side, creating a half moon shape. 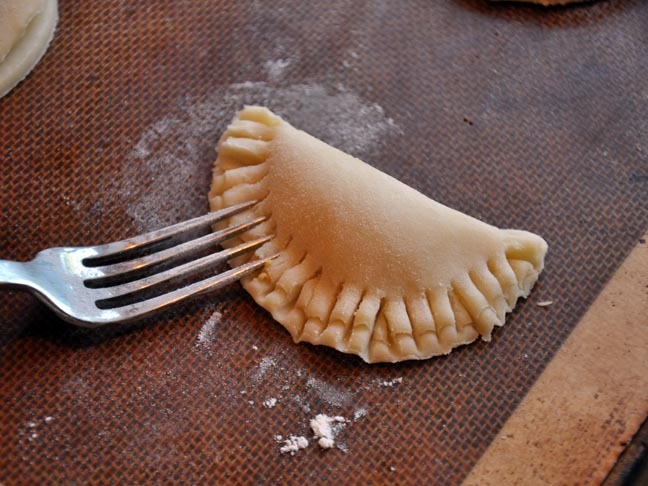 Using the tines of a fork dipped into flour (to prevent sticking), crimp the edges of the empanada closed. Step 6: Combine beaten egg with 1 tablespoon of water to make an egg wash. Brush each empanada with egg mixture and bake for about 10-12 minutes or until empanadas are lightly brown. Cool slightly before serving. Enjoy!